Look Out, It's Father's Day! That's right, Father's Day is almost upon us - Sunday, 2nd of September! If your Dad is a maker, Home Make It has great gift ideas - classes in all-grain home brewing, sausage making or cheese making, mincers, sausage/salami fillers, vacuum sealers, gadgets, coffee makers, books & more! 10% Off Selected Items applies to in-store purchases. Selected items include beer kits, salami kits & sausage making equipment. Just mention this newsletter! Learn How To Make Beer! Intro to All Grain Brewing Workshops will be held at our Clayton store on Wednesday 5th September 2018 (6pm-8pm) & at Reservoir on Wednesday 12th of September (6 PM to 8 PM). Your Dad can learn how to make great homemade grain brew from scratch to impress family & friends! Ingredients, all-grain recipe development, equipment, additives & methods. Special Offer: Customers will get to take home a free HMI All Grain Kit on the night valued at $20! Your Dad can join us at Home Make It Clayton, at 4/158 Wellington Rd, Clayton, on Saturday, 6th of October, 2018, from 11:00 AM to 1:00 PM to learn how to make his own provola & mozzarella at home. This class give you the basics on creating your own cows milk cheeses, whilst also covering the fundamentals of cheese making overall. Included in the ticket price is a selection of cheese made by our cheese makers & a cheese kit to make your own Mozzarella at home. Learn How To Make Sausage! Also at Home Make It Clayton, at 4/158 Wellington Rd, Clayton, Dad can learn how to make fabulous homemade sausages at this fun, informative & hands-on workshop. Sausage making process, Sausage making equipment, Sausage making principles, Sausage casings & how to use them, & Sausage kits & recipes. A batch of sausages is made on the evening and cooked for you to enjoy on the night! If your Dad enjoys coffee, then he will appreciate a classic caffetteria. The Bialetti Moka celebrates more than 80 years of classic design elegance & technological simplicity. From the early 1950s to the present day, Bialetti has manufactured over 200 million coffee makers. In particular, the Moka Express has become iconic & has allowed millions of consumers to enjoy great Italian coffee. From The Moka Mini Express 2-Cup to the Moka Express 18-Cup, Induction models, Alpina 3 Cup & Moka Nazionale Fiammetta Italia, Home Make It stock a wide range of these classic caffetteria. The easiest way to jump into home brewing is to use a fresh wort kit. This 20 litre Red IPA Fresh Wort Kit is brewed in Melbourne using the freshest ingredients. The Red IPA is designed for session strength, hopped with all American hops & features a solid malt backbone. Most importantly, this Fresh Wort Kit does not need to be diluted. Simply pop into your fermenter, pitch yeast & wait for the magic to happen. Dad will be brewing in no time. Usually $45, this Red IPA Fresh Wort Kit is now selling for $40! 15% off yeast & additional hops with each Fresh Wort Kit. Home Make It has limited stocks of a range of liquid yeasts from US-based White Labs, including The Yeast Bay range of rare & otherwise unavailable cultures. 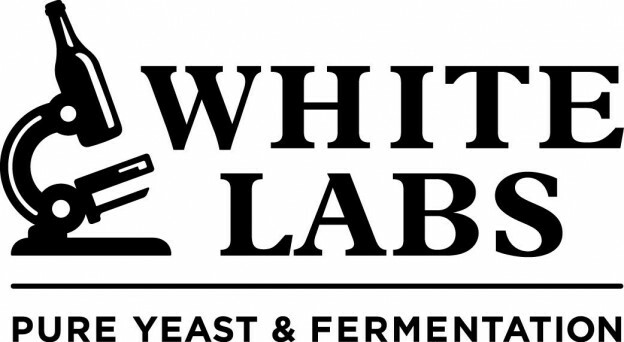 White Labs FlexCell™ PurePitch® liquid yeast stocks include WLP001 California Ale Yeast, WLP008 East Coast Ale Yeast, WLP013 London Ale Yeast, & more. You can also find WLP060 American Ale Blend & WLP080 Cream Ale Blend. The Yeast Bay blends include Amalgamation, Melange, Hazy Daze Blend, & Wallonian Farmhouse II. Call your nearest store, Reservoir or Clayton, to check availability of your favoured strains. Gift Vouchers and Course Vouchers make an ideal present for any maker in your life, and are a great gift for Father's Day! Available In-store or ONLINE.